Your account manager will be your point of contact for all quotes, orders and exclusivity pricing. If you do not have an account manager with CDW or have an unmanaged account, please contact Sales Support for assistance. If you are looking to place an order for an industry related to government, education or healthcare you can contact cdwgsales@cdwg.com for assistance from our dedicated team regarding pricing, proprietary equipment and related needs. For Canada, please visit CDW Canada. For the U.K., please visit CDW UK. If you are a customer from outside the U.S., Canada or the U.K. we cannot assist you with setting up an account or with purchasing from CDW USA. For assistance with creating an eProcurement order, please contact your account manager. If you have a dedicated account manager with us, you can contact your account manager for assistance. If you don't have an account manager with us, you can contact Sales for assistance at 800.800.4239.
Who is my account team? With your online account, you have access to a team of specialists in sales management, technology sales, customer relations and technical support who can assist you. What can technology specialists help me with? How do I create a quote online? If you are signed in, you can create an online quote. Fill your shopping cart with the items you want included in the quote. Once you are done, use the Quote feature on the Checkout page. Enter your shipping information and select a shipping method to Continue. On the Checkout: Quote Review page, you can enter a Quote Description (required) and a Cost Center Code (optional). Once you are done, you can select the Request A Quote feature to complete your quote and send it to your account manager. You will see a Thank You page confirming that your quote has been received. You can email a copy of this confirmation to yourself. You can also view your Quotes history at any time through your CDW account. Prior to converting this quote to an order, please contact your account manager for configuration, pricing and contract verification. Should you choose to convert this quote to an order without verification, you may be contacted by your account manager to confirm the details of your order. If you need additional assistance or have further questions, please contact your account manager. If you do not have an account manager with us, please contact Sales Support. You can edit a quote at any time from the Quote Review page. Next to Order Details, you have the option to Edit, which will return you to your shopping cart. From there, you can add or remove items as needed and then proceed with requesting a newly revised quote. How do I convert a quote to an order? You will need to visit your account's Quotes history. You can search by quote number or by browsing the list of available quotes. To convert to an order, select the Quote you'd like to add to your cart and then continue to checkout in order to complete the checkout process. How do I check the availability of a product? The availability of a product is indicated on the product details page. If you don't see the availability on the product detail page, please contact Sales Support. How do I lease a product? CDW offers leasing options for businesses on all of our products. To find out more, please contact Sales Support. Special offers and pricing are updated in real time. For the latest offers, please visit our CDW Deals page. I saw an advertised price in an ad for CDW, but it’s a different price on your website. Prices in the technology industry can fluctuate quickly. The prices on our website are updated in real time, but many ad campaigns are prepared ahead of time. If you see a price discrepancy, let us know and we’ll try to honor the lower price. Also, be sure to look for rebates on your product that can affect the price listing. I just bought an item and noticed there is a rebate available. Where can I find the form? Select the View Details option from the product information page for more information on available rebates. You advertise a rebate, but when you click to see more information, it says it can’t be found. This is usually caused by a rebate expiring. When this happens, we make every effort to get the listings removed from the site as soon as possible. Why aren’t Florida and Canada residents eligible for some contests? Restrictive laws in these areas prevent us from offering some promotions in these areas. Contact your individual locality for more information. Where can I request a charitable donation from CDW? At CDW, we have a strong commitment to our community and the communities of our customers. For more than sixteen years, the CDW family of coworkers have given generously to many national and local charities. If you would like to request a donation, please fill out our online donation request form. Sales Support can assist with e-account information, including billing info, customer numbers, pricing and placing orders. Only your Account Manager can give you exclusivity pricing. How can I get tracking numbers? Tracking numbers are stored by order number within the Recent Orders history of your CDW account. You can also search for an Order Number by date or P.O. number. Select an Order Number you wish to track. This will take you to the Order Details page where you can view full shipment details. Under the Product Details section, you will see your order's tracking number. By selecting a tracking number, you will be redirected to the appropriate shipping carrier site for tracking information, including proof of delivery. If you can’t find your order tracking number, or if you require further assistance, please contact Customer Relations. Note: If you did not select “ship all items at once” when you placed your order, there may be more than one shipment and therefore more than one invoice. CDW's Quick Order Status tool makes it fast and easy to check the status of an order. Once your order is placed, you can check your account's Recent Orders history to confirm the status of your order, including estimated ship date. You can search for any order from the last three years, using order number, date or P.O number. Select the Order Number you wish to track to view complete details, including current status. I received an order confirmation. Does that mean my order will ship today? The order confirmation is an acknowledgment that we have received your order. It does not guarantee shipment. You will receive a shipment confirmation email once your order has been successfully processed. For additional questions, please contact your account manager or Customer Relations. Note: If you are paying for an order via check, the check will be held for up to ten days for processing before your order is released. We have a highly automated and efficient inventory, shipping and delivery system along with a dedicated team to manage complex logistics movements and services. There are also a wide variety of shipping choices, including special offers and white glove deliveries. Carriers include: FedEx, UPS, DHL, USPS, CEVA, UPS Freight, Veterans Messenger Service and T-Force. For placing international orders and inquiries, please visit our International Solutions page. Orders for shipment outside of the U.S. are subject to shipping fees, applicable customs, duties and taxes, all of which are the responsibility of the customer. Additional information on CDW’s international shipping policies can be found on our related Terms and Conditions page. Can I use my company's shipping carrier accounts? You may save your company’s shipping carrier accounts as part of your CDW account's Profile and Preferences. Select Shipping and in the dropdown menu, select Shipping Accounts. You can then add and fill in the required information fields. If you require additional assistance with your company’s shipping carrier accounts, please contact your account manager. If you do not have a dedicated account manager with CDW, please contact Sales Support. You will be taken to the Order Details page. In the Product Details section, you have the option to select "Request a Return." Select the item(s) you wish to return. Please detail the reason for your request. When your return is approved you will receive an RMA number, which must be included with the returned merchandise. Your RMA number is valid for 10 business days. Returns within 30 days from invoice date can be for exchange, replacement refund or credit at CDW’s discretion. Please be aware that specific manufacturers have more restrictive return policies and may be subject to a return fee. If the product is accepted after 30 days, credit will be issued toward future purchases only. For more information, see CDW’s full product return policy (PDF). If you require additional assistance or have further questions, please contact your account manager. If you don’t have an account manager with us, please contact Customer Relations. What is CDW's return policy? CDW allows customer returns based on the policies of the original product manufacturer. Software is not returnable if the packaging has been opened. If software was distributed electronically, it is not returnable if the licenses were downloaded. Customers should contact Customer Relations to initiate a return or for additional information. Customers must notify CDW Customer Relations of any damaged products within fifteen (15) days of receipt. For more information see CDW’s full product return policy (PDF). How do I view the status of a return? You can view the status of all completed or pending returns from your CDW account. Orders placed on CDW.com cannot be canceled online. You will need to contact your account manager directly to update, edit or cancel an order. If you don’t have an account manager with CDW, please contact Customer Relations. Once placed, your order is processed right away. For that reason it’s possible that we've already shipped the order to you. In that case, you will need to follow the CDW return procedure. For more information, see CDW’s full product return policy (PDF). You can select the View Cart feature from the top menu of our site in order to see your current order. Continue adding items to your cart. If we’ve already begun processing your order, you may need to create a new order. Just continue shopping and check out as usual. When you complete an order, we’ll confirm that order with you via email. You can also check the current status of an order through your CDW account. I have a Return Merchandise Authorization (RMA) number, how do I complete the return? When you pack the return, the RMA number should be clearly noted on the shipping label of each box, or you may write it on the shipping box. Please do not record the RMA number on the original manufacturer’s box. The return box should contain everything from the original shipment, including the original manufacturer’s box and packing material, all accessories, UPC bar codes, manuals, etc. that came with the original shipment. If you are returning a printer, fax machine or copier, please remove all toner and ink cartridges to prevent spillage during shipping. The toners/cartridges should be packaged separately, either in another box or sealed inside a plastic bag within the return item’s box. If you have multiple packages to return, please make photocopies of the return address that was emailed to you and tape one on each package. All boxes should be securely packed to prevent possible damage during shipping. We are not liable for damage that occurs during shipment back to us and suggest that you insure these return items in case of lost merchandise. Some returns may be eligible for pre-paid freight by CDW. If your return is eligible, you will receive a pre-paid freight label via email. Print the label and use clear tape or a carrier pouch with a self-adhesive back to affix the freight label to your package. Please remove or cover any existing freight labels on the package. You can either give the package to your regular UPS driver or drop off the package at any UPS drop off location. If your package is over 150 pounds, CDW Customer Relations will schedule a pickup via a heavyweight carrier and will contact you with additional details. All international duty fees must be paid by the sender. We recommend that you use one of the following carriers to help ensure your packages clear customs: UPS, Federal Express or DHL for lightweight orders. For specific types of returns, including items for repair, see CDW’s full product return policy (PDF). You can also contact Customer Relations or your account manager for further information and assistance. How do I print an original invoice? Each Order Number includes an option to View Invoice. This will take you to an overview of your order's invoice list, where you can print a copy of your invoice. You can also review order details and shipping status, and read and print your order's packing list. Our credit department must make any updates to the billing address you have on file. Submit a billing address change request or contact Customer Relations for further assistance. Please note that it may take up to 24 hours for the request to be processed. If you require immediate assistance, please contact your account manager. How do I save favorite billing, shipping and payment preferences? When you are ready to check out, you can edit, select and save your preferred shipping address, billing information and payment preferences from the checkout page while completing your most recent order or purchase. Select the checkboxes that correspond to your preferred information to set your defaults moving forward. If you just need to change your shipping address, you can do so from your CDW account's Profile and Preferences. CDW offers Net 30 days terms to government agencies, schools and qualified businesses. Please contact your account manager for details. If you do not have a dedicated account manager, please contact Sales Support to create an account. We do not offer credit terms to individuals. Where do I submit a wire payment? c/o The Northern Trust Co.
Do you accept cashier’s checks? Cashier’s checks are accepted for amounts up to $24,999.00. Please plan to pick up your order during regular banking hours as CDW will need to call the issuing bank for approval of the check. My company does not use purchase orders. Can I reference the date as my purchase order number? If your company does not use hard copy purchase orders, please verify with your account manager that your account is authorized for verbal PO and that your name is on the approved list of people authorized to make purchases for your company using verbal PO. I set up my order under my personal account, but I would like to pay with a company check instead. The account must be set up with the same information that is on the check. In this case, an account would need to be created with the business information to be billed out. All checks received at CDW Will Call will be approved through our check approval system. Note: If the order is billed out under the wrong account and there is a product return, the refund check will be cut according to the information listed on the account. I am tax exempt. What proof of tax exemption do I need to bring with me to pick up my order? The purchase must be made with a company-issued form of payment on the CDW company account. In all instances listed below, tax can be taken off at the time of purchase when the fully completed form (including date and signature) is submitted and the account will be labeled “EXEMPT” by the tax department. The purchaser name on the certificate must match the purchaser name on the account. Government/Education/Non-Profit Organizations: You must present a copy of the Illinois Tax Exempt Certificate with the Illinois tax I.D. number listed on it. Tax-exempt numbers will start with an E. The certificate must have a valid expiration date. If the expiration date is prior to the purchase date, the tax exemption cannot be honored. How do I get a copy of my packing list? You may request a copy of your packing list for any product shipments, which is available as a PDF attachment or as a link within the email response. Go to your CDW account's Recent Orders history and select the corresponding Order Number for complete details. From the Packing List tab, you can check the packing list(s) you would like to receive and whether you would like to receive the list(s) as a downloadable PDF or email and then submit your completed request. Note: The email response link may only be viewed by the person requesting the packing list. For any questions, please contact your account manager. If you do not have an account manager with us, please contact Customer Relations. Do you have a pickup location? CDW Will Call has two pick-up locations in Las Vegas, Nevada, and in Vernon Hills, Illinois. Both locations offer repair services and accept local returns as well. Please visit our CDW Locations page for hours of operation and directions. What do I need to bring with me to Will Call? For will call orders placed through the website using a credit card as the payment method, the cardholder must present their credit card and driver’s license at pick up. The 800 number provided on the back of the credit card will be called to confirm that the person in the store is authorized to use the credit card. For will call orders, the credit card is not charged until the product is picked up. If the cardholder cannot be present, the person picking up the order must present the credit card and cardholder’s driver license as fraud protection for both the cardholder and CDW. A cardholder and the card itself must be present at the time of purchase. Credit card numbers alone will not be accepted for picking up an order. I need to return a product, but I don’t have a Return Merchandise Authorization number. Can I come to CDW Will Call and have the return number processed there? While we can process customer returns at CDW Will Call, it is much more efficient when you come in with a pre-approved RMA. To obtain an RMA number, please contact your account manager. If you do not have an account manager with us, please contact Customer Relations. You may also request an RMA number through our website. I sent a copy of the purchase order to my account manager. Do I still need to bring a copy with me for pick up? Please make sure to confirm with your account manager that the purchase order was received and saved into our system. This will ensure your order is processed in a timely manner. Customer Relations can assist with recent orders, including status, cancellations, edits, updates and returns. I'm having trouble signing in. How do I get help? If you have verified that your username and password are correct, there could be individual browser settings or cookies on your system causing sign in problems. Clear your CDW cookies and then try to sign in again. If your username is locked or if you are still having issue with your username or password, please contact Website Support. If your username is disabled, please contact Sales. Please be prepared to provide screenshots of any error messages and details of your browser setting to assist with troubleshooting. Note: If it has been more than a year since your last login, you will be required to create a new password. If you have already registered a username with CDW, you can try to recover it. If you haven’t logged on or placed an order online with CDW before, you may not have a username with us, in which case you will need to create one. For additional assistance, or to get your username linked to your organization’s customer account number, please contact Website Support. A username cannot be changed. You will need to contact your account manager or Sales Support to have a new username created and linked to your CDW customer account number and to have the old username disabled. Note: You will lose all your defaults and personal settings if you decide to create a new username. If you forgot your password, you can always recover it. An email containing a temporary password sign in link will be sent to the email address associated with your username. The temporary password link will only be active for 24 hours. If you do not sign in within 24 hours of receiving your temporary password, the link will expire and you will need to complete the Forgot Password process again. After logging in, you can change your password under your CDW account's Profile and Preferences. Select User Profile and Password to edit. What is My CDW Account? 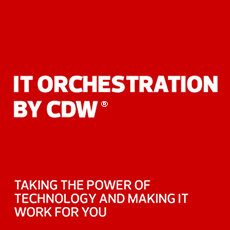 My CDW Account is an online account that has been associated with a CDW customer number. You must have a My CDW Account to access many of the advanced features and tools available on the website. If your online account has not been associated with your customer number, contact your account manager or Customer Relations.This process may take 24-48 hours. What is an online account? An online account is an account created on CDW’s website. Your online account allows you to save contact and billing information and shopping preferences on our secure servers to make future ordering easier. You can also save shopping carts and check the status of any order you place with CDW. If you place an order, your online account will be linked to your Customer Number once your order is processed. You can create an online account at anytime to get started. If you have additional questions or require assistance, please contact Sales Support. If you have made a purchase in the past, you can find your customer number on a CDW order, a shipping confirmation email or a CDW invoice. If you require assistance, please contact your account manager. If you are a first-time buyer or do not have an account manager with CDW, please contact Customer Relations. Please have your order number ready. How do I change my email address and other contact information? You can update your contact information under your CDW account's Profile and Preferences. Select User Profile and Password to edit. You can also edit your email address, contact and billing information on the checkout page when completing your most recent order or purchase. If you are not receiving emails from CDW, please contact Website Support. How do I purchase for all corporate locations through one site sign in? In order to purchase for all corporate locations, you will need to contact your account manager to request Account Linking for your company. How do I create custom product catalogs for different purchasing roles within my company? Our Custom Catalogs feature allows Administrators to create product catalogs customized at an enterprise level, company level or based on purchasing role or area of responsibility. The Custom Catalogs feature allows for greater customization of user and administrator access to account information as well as the ability to place orders based on purchasing roles and authorization levels. Lock into Company Solutions — The catalog will be restricted to products which appear within Company Solutions as saved by the Other Feature Administrator. Lock in Contract — The catalog will be restricted to products in a particular contract or group of contracts. Enter Individual CDW Part Numbers — The catalog will be restricted to a list of manually-entered CDW Part Numbers (EDCs). Enter Individual MFG Part Numbers — The catalog will be restricted to a list of manually-entered Manufacturer Part Numbers. Lock in Purchase History — The catalog will be restricted to products that have been purchased previously by the company as listed in Purchase History. Save Search Criteria — The catalog will be restricted to products listed in a search result for an Advanced Search query. For more information, or for assistance with setting up a custom catalog, please contact your account manager. How can employees of my company take advantage of our corporate discount? We are pleased to offer an Employee Purchase Program or EPP which will allow your employees to purchase products at your corporate discount pricing. To set up your company’s EPP, please contact your account manager. How do I allow my coworkers to submit orders but still require specific approvals? CDW’s Purchase Authorization System (PAS) lets you take control of purchasing with set-and-forget workflows that curb rogue spending and unauthorized purchases. Set Limits. Set purchasing limits based on order amount, product price, catalog and more. Monitor Spend. Keep track of buying behavior and trends by requiring order authorization. Fully Customized. Create unlimited workflows with as many rules, approvers and purchasers as you need. Note: You must be identified as a PAS Administrator within Security Sections to set up PAS for your Company. How do I limit user access to specific site tools? Our Security Settings feature allows the Security Administrator to control access to site features and tools based on purchasing roles. Users are assigned to groups which are given specific rights. Standard groups are available, or custom groups may also be created to better reflect the purchasing needs of your company. In addition, groups and/or individual users may also be assigned permissions to specific custom catalogs. How do I save my company’s product standards as favorites? Our Company Favorites feature allows other feature Administrators to save individual products, comparison charts, bundles (saved groups of products) and links to external websites for display on the Account Center home page. Sign in and go to the bottom of the Account Center home page to view any Company Solutions saved by your other feature Administrator. If you are an Other Feature Administrator and need assistance in saving or editing your company’s product standards, please contact Website Support. To find out how to become an Other Feature Administrator, please contact your account manager. How do I unsubscribe from your email updates? You can unsubscribe from CDW email updates at any time. How do I track my company’s software licensing purchases? Note: In order to use the Snow Software tool, you must accept a non-liability agreement. How do I track my company’s purchases? How do I access my Order Reporting? Order Reporting is a feature of your CDW account that allows you to track your purchase history for the last three years. You can either create a new report or run one of the standard reports based on the data you need. Once the report has run, you may download it as a csv file for your records. QuickCart lets you bypass our search engine by using CDW part numbers to add multiple items to a cart at once. CDW part numbers are the 5- or 6-digit number preceded by “CDW” found next to every product in every catalog, magazine ad or mailing. You can also locate part numbers in your purchase history via your CDW account's Recent Orders history or on an invoice. To use the QuickCart, enter CDW part numbers into the input boxes. Repeat the process until you have completed your purchase or order and proceed to checkout. You can access the QuickCart tool here. Why can’t I remove items from my shopping cart? You are probably experiencing a cache problem. When you attempted to remove the item from your shopping cart, your request was registered. However, the screen that appeared is from the cached memory in your computer. This problem can be solved by clicking the Refresh or Reload button on the top navigation bar of your browser. What chat services are available? Our Microsoft Cloud Technical Support team is available to customers who have purchased Microsoft cloud solutions through the Cloud Solution Provider (CSP) Program and are therefore entitled to administrator support from CDW. Contact CDW Cloud Support for assistance with Office 365, Windows, EM+S and Microsoft 365. Contact CDW Azure Support for assistance with Azure. We employ the latest 128-bit encryption technology in all areas of the site that require you to provide your personal or account information. These include online ordering, order status, catalog requests and most contest forms. This is done to protect you from unauthorized use of the information you are sending to our server. To make sure you have the latest security features on your browser, download and install the latest version of your favorite browser. If you choose not to accept a cookie, you will not be able to log on to purchase any products online or check your CDW account's Recent Orders history online. You can shop online, however, and call in your order without using cookies. Your ability to control the cookies you accept depends on the type of browser you are using. If you are using Google Chrome, go to the Chrome menu icon and navigate to Settings. From there, you can select “Advanced” at the bottom of the menu, and then “Privacy and security” from the dropdown menu. Select “Content settings” from the Privacy menu, and then select “Cookies.” This will allow you to adjust your settings and give you options to regulate cookies from CDW’s site. Website Support can assist with user settings and issues with your CDW account, from signing in, resetting your username and password and updating account information. Where can I find serial numbers for products I have purchased? Serial numbers for all scanned products can be found through your CDW account, under Order Details in your Recent Orders history. Serial numbers are also tracked for any products for which your company has requested and paid for asset tagging. Products for which asset tags have been applied are tracked in Asset Management. How do I open up a new support case or view my existing support cases? You can submit a new technical support case or view your existing cases at any time. You can submit a new technical case for cloud support at any time as well. Note: You must be signed in to submit a new support case or to view an existing support case. Can support be provided for products that were not purchased from CDW? You can buy CDW Premium Support for devices purchased from CDW or any other vendor. Premium Support licenses cover one piece of hardware from any brand for up to three years, and offer troubleshooting, setup assistance, virus removal and additional services. Browse our complete Premium Support offerings. Techical Support can assist with technical issues with recent orders you've placed with CDW. If you have verified that your username and password are correct but your username is still locked or you are still having issues with your username or password, please contact Website Support. If your username is disabled, please contact Sales. Please be prepared to provide screenshots of any error messages and details of your browser setting to assist with troubleshooting. Get in touch with CDW Support teams via phone, chat or email.